Interspersed with an interesting, well-written narrative, we are introduced to the topic of this book, namely making the rogue more unique: With trapfinding being nerfed over the editions, archetypes like detectives, urban rangers and the (overdue) power-gain of the bard, it’s high time that someone devoted a book to providing the often-neglected rogue some new tools to set them apart from other classes and that is exactly what this book is about. Much like class-specific other supplements throughout the edition, we are introduced to the matter at hand via some general observations about what constitutes a rogue (profession vs. personality type), rogues in different general setting like cities, wilderness etc., alignment, backgrounds and reasons to “go rogue” grouped by social status as well as the most common motivations. After that, we delve into the new content, which begins with new additional abilities that serve to make the rogue stand out more: Rogues built with this book get proficiency with stealthy weapons like sword-canes, blade boots and switchblade knives. The rogue now also gets access to a class feature called guile pool, which grants you ½ class level + cha-mod points that can be spent as part of a skill check to grant +2 to the skill, +4 at 10th level. Guile points may also be spent as swift actions to get a +1 circumstance bonus to atk, +1 per 4 levels to a maximum of +5. Also, as long as they have at least one point in their pool, they are treated as if under the effect of the improved feint feat. Starting at 3rd level, the rogue may now also declare any attack s/he makes that deals sneak attack damage in a surprise round an ambush: This attack gains a bonus to damage equal to her/his level as well as requiring a save on behalf of the victim to avoid being temporarily sickened. On higher levels, the negative conditions get uglier. This set of abilities is added to all rogues. When the pdf wants to make a distinction between this and the standard rogue, the rogue with the new abilities is called Glory Rogue. This basic new suite of powers out of the way, we delve into archetypes, starting with the chemist. Chemists get slightly diminished sneak progression, but compensate this by gaining increased throwing capacity. It the name of the archetype has not been ample clue: Chemists gain access to a limited array of alchemist’s bombs and may even add sneak attack to their thrown weapons. They also may smuggle bombs on foes via sleight of hand or the steal combat maneuver. Finally, they may select from a limited array of discoveries. Nice archetype that should answer the prayers of the splash-weapon-throw-plus-sneak-crowd without being unbalancing. Much less complex, the Dungeon Runner deals d8 sneak attack versus undead and constructs, + level damage versus oozes, but all other foes only get sneaked for d4 instead of the usual d6. They also replace either ambush (or 2 skill points) with gaining the blind-fight feat-tree as bonus feats. Fences also get 2 skill points less than regular rogues and gain quick black market connections as well as very soon access to an organization to do your bidding, information gatherings etc. – these people can be developed and, while not adventurers, they are gold in any urban environment/to do tasks that do not require a group of adventurers. Have I mentioned that you gain money from your underlings (though they require you to pay them for jobs) since you fence their goods? 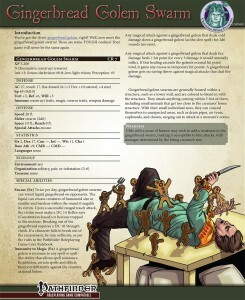 Nice archetype, though personally, I would have loved for a more complex fencing/guild-running system or e.g. an adaptation of WotW’s evil organization rules, the Great City’s tong-rules or something akin to that. After that, we get the imperial flanker, who represents more closely the concept of lightly armored skirmishers in military. They get access to the cavalier’s Tactician-quality and stack their levels with respective levels in the cavalier-class. The write-up also refers to the Tactician-class, I assume either a glitch or a pointer towards Dreamscarred Press’ tactician-class, but honestly, I’m not sure which is correct. The archetype gets 2 skill points less and instead of trap-related abilities gains access to martial training, medium armors and even the option to still use evasion when in medium armor. Mageslayers are also interesting: Gaining at 4th level already the Magebane attack advanced rogue talent as well as imposing half their level as a penalty to defensive casting, this archetype is the nightmare of casters and a gleefully satisfying experience to spring on those spellslingers. Medics will probably see much use in low-magic settings: These rogues may treat lethal wounds faster and increase the efficiency of the usually rather underpowered heal-skill. They may even get rid of negative levels and in combat gain an interesting alternative to sneak attack: Surgical precision grants +1 to atk at every odd level for a max of +10 at 19th level instead of the bonus damage sneak attack usually offers. Finally, medics may create salves that grant temporary hp. The Pet Trainer sacrifices 2 skill points for an animal companion and teach them the grab-trick, but at the expense of the guile pool or trapsense/trapfinding. Stalkers are a relatively straight ranger/rogue blending, getting access to favored terrain, trap training and advanced trap training as bonus rogue talents at the expense of 2 skill points. Street Magicians are interesting in that they get a VERY limited access to sme wiz/sorc-spells they can cast as spell-like abilities. As rogue talents, these guys can also get familiars, bonded objects etc. and as an advanced rogue talent, there’s a nice blend of the new ambush-rule combined with spellcasting – nice way to represent street-smart dabblers in the arcane. The Street Urchin gets skill bonuses to represent street smarts as well as an ability that hits a pet-peeve of mine: They may, with a glance, size up a target, learning class, level and ability modifiers. This kind of metagame-information is strictly banned in my home game and something that always breaks immersion for me. Additionally, the ability fails to specify whether the ability shows their modified (by magic items, diseases, afflictions, curses…) ability modifiers or their unmodified ones. They also thus are very focused on the target, gaining bonuses versus them at the expense of penalties versus targets not their mark. I get what the ability wants to do and it works, but personally, I would have wished for a more abstract form of information to be thusly uncovered. Now true professionals may choose at first level to either be even better with skills, get more proficiencies and count as ½ level fighter to qualify for feats or limited spells. They also replace sneak attack with bonus feats, ambush with more skill points and an interesting capstone. Urban Ninjas represent the only archetype that requires the optional guile pool-class feature, gaining both guile pool and ki pool as well as access to both rogue talents and ninja tricks. Finally, Weapon’s Experts don’t gain sneak attack and trapfinding, but instead get weapon training and the option to count as fighters as well as again, the option to use evasion in medium armor. What I’ve failed to mention so far in this array of archetypes is that each and every one of them comes with an aptly-written, nice fluffy mini-story instead of being just dry crunch. Nice! 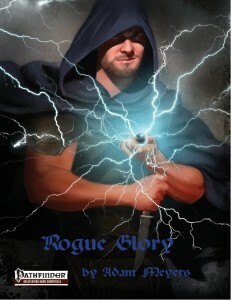 Of course, this book not only features new archetypes, but also new rogue talents and advanced rogue talents. On the side of the former, we get the power to run and even charge at -10 while using stealth, the option to deal ambush damage via grapple as lethal or non-lethal (great for TRUE professionals and campaigns like mine, where killing ANY humanoid is usually not considered as “good”), armor and maneuver mastery (the latter granting a massive bonus to the chosen maneuver), flank nearby foes with ranged weapons, feint with ranged weapons, become extremely adept at using ropes, wilder in the bard’s and alchemist’s territories, roll an attack twice as a standard action and the expense of 1 guile pool point (great when alone on reconnaissance and needing to make that hit count), spend guile to treat foes in melee combat as flat-footed, bluff lie-detecting spells, run up walls Prince-of-Persia-style and so much more. On the side of advanced talents, rogues may choose swift poison application, increased prowess with wands and scrolls, quietly dispatch foes (VERY useful! ), feint all foes she threats, treat all 1s, 2s and 3s as 4s when sneak attacking, deal con damage, hamper spellcasting, slow foes and gain access to mutagens, improved familiars etc. We also get 6 new traits before we check out further alternate rules: The first is a nod to Rite Publishing’s excellent “Secrets of the Tactical Archetypes II” and says so directly in the text – nice to see the nod. I’ve already covered “opportunities aplenty” in my review of that book, though. What really rocks, though, is that the Drop Dead Studios-team has taken Paizo’s proposed and then discontinued stealth-rewrite and expanded it with abduction, perception, bluffing, creating diversions etc. as well as updates for blindsight, blindsense etc. These variant rules look on paper VERY concise and cool and in fact, better than the regular stealth rules. If you need an idea of how the rules work: There are different conditions: Observed, located, detected and undetected. Observed means the creature knows exactly where you are or can see you. Located means a creature can’t see you, but knows where you are. Detected means that a creature knows that something is going on. Additionally, you may be hidden, as per a new condition, thus influencing the former concepts. As a system and presentation-wise logical, easy to grasp and concisely presented. I can’t yet comment on how they work in-game, but I will do some extensive playtesting and definitely try them – the system remedies the problem of stealth vs. special sights being completely useless, though admitedly requiring more skill and planning at low levels as well as the DM using Perception by the book, i.e. with distance penalties etc.. For me, though, it works and I’ll use the system in my next campaign, due to start next month. Kudos! Another innovation of the book would be Delnor Crystals, special crystals detecting magical pulses from magical traps. These crystals require rogues to use them via trapfinding and make it possible for trapsmith rogues to manipulate magical traps – not only disable them. Ranger traps are cool – but oh so limited in by who they can be used. Rogue Glory’s solution is interesting: Attach them to Craft (traps) and make them available for anyone, with a trapper ranger archetype being thus changed. We also get 7 new ranger traps, multiple environmental traps and respective DC-tables, triggers and construction rules, taking existing feats like Cunning Trigger and Quick Trapsmith into account as well. Nice and neat to add some versatility to not just the rogue class. Sleight of Hand gets variant rules for placing objects instead of taking them away and the repercussions of using the revised stealth rules herein on the application of e.g. feigning death etc. are covered. Beyond these, we are also introduced to a rather intriguing array of new equipment: These tools of the trade include hilt-daggers, climbing claws, 10-foot poles with hooks, collapsible bows (sniper hitman, baby! ), needle launchers (deliver those toxins), hollow books, lead lining enhancements to other compartments, parachutes, 13 new traps (and an alchemical trigger to spring them) and, of course, magic items: These are no less useful than their mundane counterparts and include magically rigged dice, daggers for assassins, pellets that let you vanish (à la batman and x ninjas in fiction) and rings that grant the massive social bonuses of the glibness spell. Beyond these, we also find new artifacts and interesting ones indeed are there: Take Saphire, the most famous thief ever and his/her legacy: These are essentially concepts, not items that can be taken, given, lost etc. and grant fractions of this mythological beings vast power. Cool as an idea to pass on to PCs (or NPCs), with all resulting hijinxs – or perhaps the PCs want one, but how to steal an intangible thing? There is also a two-faced coin that can alternately grant 20 as bonus or penalty and which would make for a truly interesting item in the hands of a two-face-like foil. Beyond these, we get an assassin’s blood-filled cup and a powerful dagger as well. We get 5 sample thievish organizations, all of which come with fully statted sample NPCs, prestige benefits and range from apocalyptic cults to a counter-thieves guild that steals back what was taken and acts as a kind of elite security force. The book concludes its survey of rogues with 5 seeds for whole campaigns and arcs as well as a table of 20 short adventure hooks for you to develop. Editing and formatting are very good, though not perfect: I noticed two glitches in particular, on page 11 and 30 respectively, of false words. Generally, though, the book is surprisingly glitch-free apart from aforementioned hick-up. Layout of the electronic version adheres to a 3-column landscape format with full-color borders and original artworks that are ok, though ranging from nice to a bit wonky. Layout is also the weakest spot of the pdf – here and there, there are disjointed underlinings in the text and e.g. spell-names are not in italics. Beyond that, the pdf is hyperlinked to d20pfsrd.com, with the latest update getting rid of an at first problematic usage of the hyperlinks. The pdf also comes with extensive nested bookmarks in both versions. It should be noted, that the print-version and the pdf based on that version is something completely different: It is 115 total pages long (minus cover and the like), adheres to a 2-column standard with an artwork-border and looks VERY tidy. Rogue Glory is an interesting book in that it takes a class that is deemed by now one of the weakest and adds some oomph to it: Additional, easy to use rules, nice options, interesting archetypes, a stealth-system that, while hard on low-levels, especially at mid-to-high levels works much better and all those nice tools and ideas conspire to make this a truly impressive little book that shows awareness of other 3pps, rules-discussions etc. and overall manages to succeed at its task of making the rogue a more unique character class that can compete with its fellows. Full of great ideas, solid crunch and options galore, Drop Dead Studios has created a second book that is on par with their crunch-mastery as displayed in “The Artisan” and shows that the former was no exception – their standard remains high. Thus, I whole-heartedly recommend the print version/print-version-based-pdf (since at least at my table, this book will see a LOT of use) with a final verdict of 5 stars plus endzeitgeist seal of approval – with the now revised version of the electronic version, without any regrets. I’d like to thank Paco Garcia Jaen of GMS magazine, without whom there’d be no endzeitgeist.com – you are the best friend a man could wish for. I’d also like to thank Lou Agresta, who continued to encourage me throughout the years and Jonathan Nelson of Nerdtrek, who has helped me tremendously since we met. Finally, without Steven D. Russell’s encouragement during my early days I would have never kept doing this…so thanks again. Beyond that: “Thank you” to every publisher and author who has opted to send me complimentary copies and thus allowed me to keep up with the amount of cool supplements out there; Especially since it takes courage to face a review that is not guaranteed to turn out well and since I quite frankly wouldn’t have the money to review that many products. To every publisher who has corrected one of my mistakes: Thank you for being courteous and help me become a better reviewer. I’d also like to thank Christian Stiles, Jonathan Nelson and Brian Berg for offering me a chance to contribute to their respective kickstarters. Finally, I’d like to express my utmost gratitude to the few fine folk who actually donated me a couple of bucks to keep this enterprise running and those who commented on one of my reviews. Showing your support in any way helps me keep the fire burning. So there it is – I’m nearing the big 1.5K reviews and wouldn’t be here without any of you – may you have a blessed holiday, whatever religion (or lack thereof) you choose to follow! This game-pdf is 13 pages long, 1 page front cover, leaving us with 12 pages of content, so how does this work? Well, first skip to page 10, which includes a tasty gingerbread recipe and instructions to make Gingerbread. 2 pages contain a total of 8 silhouettes you can print out, cut and then put on the gingerbread to make your characters – for this is all about gingerbread monsters fighting the delicious fight. 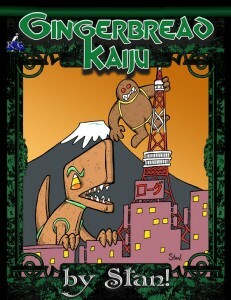 In order to play, not much is required – 1 Gingerbread Kaiju per player, 1 deck of standard playing cards and a d12. Optionally, icing can be used to make the Kaiju more detailed (and tasty!) and the game also requires some assorted cookies, baked goods or alternatively inedible markers. Before play, sort the cards into two decks: The ward deck and the karma deck. The ward-deck contains 20 cards (10s, Jacks, Queens, Kings and Aces of suits) and is evenly distributed on a table on a 4×5 grid, face down. The other deck contains the remaining numbers and two jokers. The d12 is used to determine from where the Kaiju enters Tokyo and to determine who goes first. Now I’ve mentioned other markers: Full-sized candy represents buildings, fun-sized candy equipment, round baked goods (like oreos and chips) are UFOs and Skittles, M&M’s and similar small pieces would be people – all of these enter the resource bank. Also, every round, at the end, you draw a karma-card, which, depending on the card, usually allows you do unpleasant things to other Kaiju, though you may have a maximum of karma cards at one time equal to the amount of parts your Kaiju has – which are determined by 8 general basic statblocks for the respective prototypical Kaiju. These include, btw., Cocoonra, the Guardian of all Baked Goods, Globbulon, Giddy Ra (the dragon who can’t make up his mind), King Konk and, of course, Bakedzilla. It should be noted that each of the Kaiju has its own signature attacks and tactical options, which karma cards that allow you to reveal adjacent wards (or plainly do mean things to the other Kaiju) further expand. Editing and formatting are top-notch, I didn’t notice any glitches. Layout adheres to a nice, easy to read two-column portrait standard with Stan!’s signature artworks throughout. The pdf has no bookmarks, which is a slight pity, but since one probably should print these pages out anyway, that will not be considered detrimental in this case. All right, after a match of industry legend Stan!’s “Plätzchen-Kaiju” (I substituted another dough), I can attest to this game being fun – especially for everyone who is gleefully nostalgic for the Kaiju and versed in their respective mythologies – when turtlesaurus just has its shell left and starts shooting fire out of every opening of its holes, I know that I was chuckling. The rules per se are simple to grasp, though at least in the beginning, a list of card-effects for the respective wards should always be handy. If there was one weakness to the rules and my understanding of them would be that the pdf could have made clearer how many karma cards one has at the beginning and that the buildings etc. retain their value when added to the power pool. Apart from that admittedly nitpicky complaint, we have a neat selection of Kaiju here and a game, where there is a real temptation for tacticians to ignore the more sound option to go for the favorite candy. All in all, a fun game and one that will not only be fun for roleplaying veterans and kaiju-aficionados, but also for kids (though one ability might require renaming, depending on your sensibilities – it involves the finger). I know I would have been ALL OVER this game; Bake Gingerbread, design it and then prove one’s mettle versus my friends in a battle for chocolaty goodness? Yes! This is fun past-time and not only great for the gingerbread-time, but could also be played with bread, spicy food or the like. Fun, engaging and very affordable, this is easily worth a final verdict of 5 stars. Now… can we have expansions for more Kaiju? Something seems to have happened to the old ones – they’re curiously gone… Final verdict? 4.5 stars, rounded up to 5. You can get this fun game here on OBS! Posted by Thilo Graf at 12:18 pm	Tagged with: 4.5/5, campaign setting, Mini-game, Rogue Genius Games, Stan! This mega-module is 142 pages long, 1 page front cover, 1 page advertisement, 1 page editorial, 1 page ToC, 2 pages of backers-by-level, 2 pages of SRD, leaving us with 134 pages of content – quite a lot, so let’s take a look, shall we? All right, still here? We kick off this module in an unconventional way – via a full-blown short story by Kevin Andrew Murphy that depicts the legend of the Lich-Queen in a rather compelling narrative spanning a full 21 pages – the cliffnotes version would be that on a world, once there were tragic heroes/villains, gifted with the tears of the legendary angel Anat. By trickery and fate’s tangled web, the protagonists escaped a cataclysm on their world, the wizardess essentially took possession of all the tears, becoming an immortal being leaching souls and the life-blood of said legendary angel. There, on an island called Paxectel, beyond space and probably, time, the Lich-Queen still waits, the Angel Anat still subject to a heinous torture, while mad Tismaya, adversary of the lich queen, still walks the lands. After a short section of advice on the Suzerain-setting and placing the module, we are introduced to the cliché introduction of the module – it kicks off in a tavern. Yeah. But at least a bard plays a gorgeous song (fully depicted), allowing for a rather neat, fluffy means of providing background exposition to the PCs – especially since advice on tune etc. are provided as well If the PCs decide to follow the mysterious bard, they are swallowed by a vortex of energy. and unceremoniously dumped on Paxectel island (fully mapped, btw.!) – and here, in this pocket dimension, the PCs capabilities get crippled: Looking into another plane entails a will save (called willpower save here) to prevent taking damage. I assume this extends to the ethereal, but that’s a minor detriment – worse would be the inability to summon creatures (apart from eidolons, which work as usual); Summoning-specialists are limited to creature-simulacra created by the island and may not choose to call specific creatures -no planar allies and the like. Per se an interesting fluff-restriction, but one that could have provided a more…tangible impact on the summoned beings for a unique experience – as provided, the results may even slip by your PCs completely. Another restriction would be: No inter-planar travel, no teleportation, no flight, unless via natural wings. while I get the intention, essentially, that’s cheating. One of the things that makes designing high-level modules HARD is the fact that the PCs are that mobile – stripping them of the ability instead of making it unreliable or risky feels like an arbitrary crippling of grown abilities. I also take offense at the categorization of “only natural flight”. What is natural? A wildshaped druid? A race/class with levitate or similar powers as racial abilities? What about characters that have gained access to flight as spell-like or supernatural abilities? Can eidolons still fly? We need hard guidelines to properly implement restrictions like this, cop out though they are. All right, so a bunch of level 15+ PCs are stranded on this island in a pocket dimension -they probably start exploring immediately, gathering artifacts of the original heroes/former companions of the Lich Queen. Here, I honestly almost ragequit this review. No. Seriously. Why? because this module HAS NO MAPS. Yes. No maps. There is a free web-enhancement that includes some bonus encounters as well as cards with parts of maps on them – but these cards have no grid and the map-component makes up about 1/2 of the card – useless for map-purposes. And know what? There is a map-supplement! It’s a separate pdf costing…. 30 bucks. Yes, immensely detailed etc. But know what? Why not provide minor maps for the module they’re selling it? Oh, and Dungeon Tiles… + 15 bucks, yet another separate pdf. let’s do the math, shall we? 20 bucks+30 bucks+15=? 65 bucks. Pdf-only. You still have to print these. OUCH. And no, I don’t have these supplemental pdfs. Now to be fair, we get a way to use d10s+d20s to choose rooms, but still – this lack of regular maps makes the whole experience of trying to picture this dungeon jarring at best…. Which is a damn pity. For the unique constructs of the puzzle/living dungeon/deathtrap lying under the island brims with imagination – diminutive engineers, alternate flesh and iron golems – wow. Now let’s take a look at the rooms, shall we? Well, there’s for example a room with colored tiles, in which a strange melody is playing – a melody that contains the key to solving the trapped floor-puzzle. Why no fly over it? Oh, wait. You can’t. Flying’s forbidden. *sigh* And yes, disabling the traps brute force is possible – but it’s weird since we don’t have a map to show us how many of these tiles are there. Or what about a poison gas chamber that can be bypassed either by a rogue or by committing a selfless act? Crushing corridors, deadly sound-emitting statues or blood moss? Rather cool, though the latter fails to properly use the grapple-mechanics for what is clearly a grapple in lieu of opposing strength-checks. There also is a cool illusion, but no strength of the aura/spell mentioned to properly handle high-level magic ways to bypass it. And yes, dealing with Trismaya the Mad, the adversary of the Lich Queen (no less dangerous than the Lich Queen) and unearthing information from her ramblings is also required. Have I mentioned a deafening discourse with the voices from beyond? Among the deadly, and lavishly illustrated adversaries herein, we also find a vampiric ranger, a unique outsider (the champion of woe) and an inexplicably CN movanic deva (which makes no sense, seeing the good-subtype and lack of any in-game rationale why he’s not fallen), a planetar and then, finally, the final boss encounters, one of which is a red-gold hybrid dragon (!!!) and the second, guarded by a CR 20-trap (!!!) would be a false CR 17 lich queen – after which the way into her deadly puzzle machinery that whirs behind the dungeon’s walls is finally opened – here the second module will begin upon release. The final 20 pages contain further adversaries to populate the dungeon – and the builds are AWESOME: These are deadly, lavishly-illustrated, awesome foes, well-worthy, deadly high-level builds – from cool and creepy to Rhino-slug weird, a cool mini bestiary/NPC-collection! Editing and formatting are top-notch – I didn’t notice significant glitches. Layout adheres to a drop-dead gorgeous two-column standard that is easy to read and stunning to look at – well fitting for a premium product! The same can be said about the excessive, vast amount of super full-color and b/w-artworks (the latter of which are rather scarce) – though veterans of 3.X-days may know some, though by far not all of the character-artworks from Bastion Press’ “Allies and Adversaries”-supplement. The pdf comes fully bookmarked, but sans a printer-friendly version – which is bad, since this pdf will extol a BRUTAL drain on your printer. The module cheats in the worst tradition from the old-school days: The fiat. Abilities don’t fit your idea? Flat-out ban them. There, I said it. The CHALLENGE of high-level design is not cranking up the numbers, it’s about dealing with the possibilities at the PC’s disposal. Flight and Teleportation being chief among them. Just flat-out banning them is a cop-out. And that’s not the only instance. If you scrape the beautiful surface, you’ll notice a lot of these problems in the details – from missing school-auras to not using the proper, existing tools to e.g. craft illusions etc. (thus including ways to bypass them), this pdf, with all its at times neat knowledge of details and usage of supplements feels like it at times just didn’t care and instead only DM-fiats solutions. Much like a railroady videogame, the challenges herein usually have ONE proper solution that you’re supposed to go for. Cleverly using the abundant resources gets you nowhere as a player – and worse, often the intended solutions don’t follow the logic of the available resources, whereas at times, the supplement makes SUPERB use of them and the respective rules. Nevertheless, as much as I’m loathe to say it – cheating players out of resources is bad design with a capital “B” in my book. That being said, when tackled on its own, this module still should be considered a joyous read and the meta-complaints I just fielded can be offset with a good DM. What’s really problematic would be the lack of maps. Call me a jerk, call me old.school, but I don’t care for any amount of gorgeous artworks or 20 pages of short story when I don’t get FRIGGIN’ MAPS for 20 bucks. Yes, this book is beautiful and yes, I get that the dungeon is supposed to be modular – but know what would help? Maps of the rooms. Maps that don’t require me to spend an additional 30 bucks (+ potentially 15) to get the maximum out of this module. And yes, the additional map-packs may be the cream of the crop, the nirvana of maps – but what does that help me when the supplement that uses them does not even feature low-res or downscaled rudimentary versions? As written, the encounters and characters are superb, the text great – but sans a map, the whole complex remains opaque in its dimensions, possible connections etc. I’m honestly, even after weeks, still pissed at the omission of what is not just decor (like the gorgeous artworks), but rather a central component of any module. Think about similar premium products: Rappan Athuk, Razor Coast etc. (and yes + maps, this comparison is justified) – you get 3-5 times the content AND MAPS. You can get map-packs in addition, but they are not omitted from the mega-module. Think how an AP would stand up if Paizo told you: “Want maps? You HAVE to buy our (kinda optional) map-packs, no more maps in the APs. But we’ll make them really big and shiny.” Would you be ok with that? Thought so. Now think about said products and how to run them sans maps. Get my drift? I don’t care how good the 30-buck map-pack is, selling a 20-buck module sans cartography is just an insult in my book, especially sans pointing out the lack of proper maps. It’s been a while since I’ve been so conflicted about a product – on the one hand, I love the NPCs, creatures, storyline and several of the challenges herein – as a toolbox to scavenge, this is awesome. On the other, I have rarely been so frustrated by a module, so pissed off by a product. From the lack of a printer-friendly version to the lack of maps to the writing cheating PCs out of some of their best tricks to make the module work, I feel like this pdf, when it had the chance to revolutionize what one can expect from dungeon crawls, opted to go for a beautiful polish and then made essential components add-ons. Where’s the printer-friendly version? It took me some time to get what made me so annoyed by an otherwise great supplement – it’s that this pdf is inconsiderate. From the lack of maps to the lack of a printer-friendly version to a lack of consideration regarding high-level character options, this module is superbly written, yes. But it also says “Here’s the way to do this – and that’s the way. Have problems with it? Want comfort? Tough luck.” And honestly, for me as a person…In spite of loving the characters and set-up and the adversaries and often creative traps, this module is ruined by not being able to use them since they’re cheating by taking player-resources out of the game in the first place, when they instead could have worked WITH the options. Created teleportation-puzzles, ones that require planar callings etc. – working with the system instead of against it. For me as a private person, this module fails to deliver what it sets out to do – utterly. As a reviewer, though, I have to take into account that you might not mind the non-standard rules here and there or perhaps you just have money I frankly don’t have and just shrug the maps away, saying “Pff, Endzeitgeist has no idea, with these maps the module is the best thing ever and I don’t care about players being cheated out of some of their abilities!” – I can’t verify this, but I have to take it into account. This pdf is production quality-wise 5 stars +seal of approval, content-wise a 3.5 and for me personally, a 1-star disappointment. As a reviewer, taking into account the feelings of others and different takes on what’s important etc., I’ll instead settle on a final verdict of 3 stars. Caveat Emptor, though. I can’t verify it, but you should probably get the 30-buck-map-pack as well. You can get this mega-adventure here on OBS! The fifth installment by John M. Stater’s massive Hex Crawl Chronicles-series is a massive 60 pages long, 1 page front cover, 1 page editorial, 1 page ToC,3 pages SRD, leaving us with a massive 54 pages of content – at the low price-point an excellent bang-for-buck ratio! All right, still here? Much like the fourth installment, we get two full pages of hexes to crawl through, though approximately a third of them are made up by the sea. 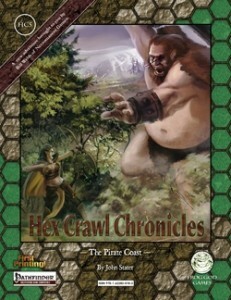 As with other Hex Crawl Chronicles, it should be noted that this is a wilderness sandbox, where PCs journey from hex to hex, stumbling over adventure and embarking on player-driven quests – this is essentially one huge sandbox in the truest sense and hence, not all adversaries that can be found or fought here adhere to one CR or come with complete statblocks, though you’ll find no shortness of those in here -from CR 15 Bonny Prince Andus and his 4 subcaptains to two more lords and their subcaptains, we get quite an array of different pirates to shake up and change the dynamics of these places. While build-wise, these being are not particularly complex, we at least get them spiced up with magi and even a multiclass duelist – though personally, I wouldn’t have minded a gunslinger here as well. The Pirate Coast is a truly intriguing place, culturally – once inhabited by Stone Giants and riddled with their monuments, nowadays the colonial sea people (white-skinned travelers that arrived from over the sea), the Bull-god-worshipping, island-dwelling Bucranians and the xenophobic, mechanically savvy yet emotionally crippled “Last Men” weave a cultural panorama somewhere between memories of Mu, Crete’s lore and late colonial anarchy – and yes, elven and dwarven ethnicities are also covered here and rumor-tables offer additional incentives for adventuring. Death awaits foolish adventurers disturbing sealed away pit fiends and a valley that is often visited by the lord of all horses may also see potential problems if the adventurers lay their hands on his centaurs or equine servants. Covens of hags, clouds that cover you in gold, served by oblivion wraiths, goblin tribes, lonely cambions, strange dwarves led by an opal-eyed “seer”, granite cliffs hiding the mansions of stone giants left behind from ages long gone, giant beaver-dams, a neutral sect of hermit monks, ritual sites of alien, long-forgotten gods from the outer dark – and even Zarathustrans, monks that believe they have transcended humanity -all of these and so much more can be found within these pages. Fur-traders, seal-headed humanoids, oracles of the woods,, a windswept plain where the spirits of the 4 Black Winds may be conjured forth, a fully mapped mini-dungeon, an alchemist who grows obedient women in vats, hunting grounds of killer squirrels, a wood-craver that can create doppelgänger made of wood, a bored goddess of fortunae, trbes of warrior-nymphs, rainbow-crows guarding divine fire… There is fodder for weeks upon weeks of adventure herein. Editing and formatting are good, though by far not perfect – I noticed minor inconsistencies here and there, double letters etc. Layout adheres to a printer-friendly two-column full-color standard and the pdf comes fully bookmarked for your convenience. Author John M. Stater and PFRPG-conversion chief Skeeter Green have delivered us a supplement that brims with raw ideas – so many in fact, that I wager you could easily spin a whole campaign around the ideas herein. Skeeter Green has learned from part 4 and this installment of Hex Crawl Chronicles offers more variety – alchemists, magi etc. make for more versatile builds than in the previous installment and statblock-wise, we get a lot of material, though personally, I’d upgrade the magical items of most beings herein, especially of the high-level NPCs. That being said, you won’t buy this for the statblocks – you buy this for the IDEAS. Whether to supplement Skull & Shackles or Savage Tide with free-form wilderness (h)exploration or to add to Freeport or Razor Coast, this mini-setting (for that it is) brims with more awesome ideas that almost demand being made into an adventure than some campaign settings I’ve read. With a touch for blending familiar and lien, we are taken on a ride into realms both wondrous and distinct, where piratey coolness and a sense of Sword & Sorcery rawness mix and foolish PCs might meet their demise by annoying the wrong hermit. Now all great? Almost. For a supplement about pirate coasts, there is a distinct lack of storm/seas phenomena & ship-combat and the like and no stats for legendary pirate ships can be found in these pages – which is a bit of a pity. Still, I can’t find it inside me to rate this down for its flaws – it offers too many good ideas and an just about unbeatable bang-for-buck ratio; This could literally be 1/2 a year of diligent roleplaying! Half a year spent with fun, wonder and excitement and the thrill of very old-schoolish danger. Final verdict? In spite of the flaws, 4.5 stars, rounded up to 5 for the purpose of this platform. You can get this cool sandbox for the PFRPG-rules here on OBS and here on d20pfsrd.com’s shop. Alternatively, old-school aficionados may get it for the S&W-rules here on OBS and here on d20pfsrd.com’s shop! The third installment in the Advanced Races-series is 26 pages long, 1 page front cover, 1 page editorial/ToC, 1 page SRD and 1 page advertisement, leaving us with 22 pages of content, so let’s take a look, shall we? Now the story of Gearforged has been told by multiple supplements and could be pieced together from various Midgard-themed sources, but herein we have the story well-compiled and much like the spread content, this pdf offers also fluff-wise the easiest way of getting the whole story of the creation of the Gearforged – from Stross-tyranny to the Free City of Zobeck’s revolution to how Rava (a mask of Ariadne) and her church have guided and shaped Gearforged society, while also going into details on Gearforged psychology and iconic concepts like memory gears, soul gems and everwound springs as well as Rava’s write-up. 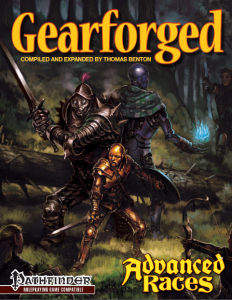 Also rather awesome would be the schematic insights into the anatomy of Gearforged, marvelously illustrated in gorgeous full color by Mark Smylie. Of course, this pdf offers a significant array of traits – a total of 12 different racial traits are provided for your perusal: From a 1/day discharge of 1d4 fire/electricity or sonic damage à la burning hands to confusing foes by linking via touch with their minds, these traits…are actually fun! I mean it! They’re not too strong, but confer significant bonuses and make for thematically fitting, intriguing additions to characters that may well make the difference between triumph or doom. Only rarely do I see traits I enjoy as much as these, so kudos! Especially since 5 racial subtypes with assigned traits add also a sense of narrative gravitas to the selection of these traits – I wish more supplements tied story/setting-information that concisely together. And of course, the cool incantation/ritual to turn into a Gearforged is depicted herein as well in all its glory. But what do Gearforged characters get crunch-wise? Well, they are medium, get +2 to an ability score of their choice, +1 natural armor, suffer no penalty from wearing medium armor, get low-light and darkvision and also the Gearforged traits – these include +4 to saves versus mind-influencing effects, immunity to nonlethal damage, disease, death effects, necromancy effects, poison and sleep as well as exhaustion and fatigue. Furthermore, they automatically stabilize at 0 Hp or less and are not subject to massive damage death. Even upon complete destruction of the base bdy, as long as the memory gears and soul stone are intact, the Gearforged can be recreated. They also don’t need to eat, sleep or breathe and may work properly under water for str-score hours – any longer than that immobilizes them unless they have been repaired. Gearforged incur a -2 penalty on swim-checks. Gearforged cannot heal damage naturally, and even magic only cures the minimum amount of damage. The psionic repair power (nice to see the inclusion!) works normally, though. Gearforged require 4 hours of daily maintenance by themselves – failing to get this period of uninterrupted rest results in cumulative penalties of – 2 to atk, skill-checks, ability-checks and saves and after character level periods sans maintenance, the Gearforged become immobile, requiring outside help to reactivate. They also get +2 to intimidate and Craft (clockworks). All in all, an interesting race – the vast array of immunities is somewhat offset by the impeded healing capabilities of the class – though the question of type remains: While I assume from the fact that they get their own subtype that the Gearforged count as humanoids for the purpose of spells and the like, not as constructs, it would have been nice to have that spelled out properly. Now we also get an array of archetypes, first of which would be the Clockwork Warrior for the Fighter-class: Learning to utilize gears to supplement his/her/its attacks, developing natural claw-attacks and similar tricks in lieu of armor/weapon training. is nice, though we have a formatting glitch here, with one ability’s name not properly in bold. The Faithforged are created paladins, who do not get spells, instead focusing on lay on hands (also on gearforged!) and the option to infuse attacks with elemental bonus damage dependant on level instead of mercies and divine grace. As soon as the Faithforged learn to channel they’re rather hard to pin down, for their symbol is their own very being. The high-level abilities are also quite unique – kudos for an uncommon, interesting archetype here. The Heavy Gauntlet Witch gets a permanent adamantine gauntlet enhancement to their physical form, enhancing their physical forms with DRs and even fortification. Furthermore, their pain clasp overrides construct immunity and even, in one check, grapple and make paralyzed foes prone and get a reach. An ok archetype, I guess, though it annoys me a bit that it does not specify which abilities the respective powers replace/change – yes, it’s a variation of the gauntlet witch archetype from KQ’s issue #23, but still – the information should have been in this pdf. Next up would be the Lawmaster inquisitor – unable to cast [chaotic]-spells, these inquisitors are specialists of intimidation and they make for superb guards, being able to make relatively easy DC 20-perception checks to discern the invisible, ethereal and later even discern the true form of polymorphed creatures and objects. At high level, regeneration and marks of justice as well as a type of imprisonment are added to their arsenal. rather neat! Barbarian gearforged seem like a contradiction in adjecto, but the Quiet Explorer gets a changed rage-quality as well as the ability to retaliate at higher levels, punishing opponents with AoOs. Summoners of the Gearforged race may opt for the path of Salvager – their summoning spells may be restricted, but do add the new scrap beast mini-template to their summons, making them vulnerable to electricity in favor of +2 AC. Also rather interesting, the archetype gets a flying metal sphere weak to electricity (no offsetting the weakness via evolutions!) that can learn to turn into a swarm-form which may later learn to split, throw swarmed foes and as a capstone disarm and destroy items to have the swarm heal itself. The final new archetype would be the Tinker Alchemist – faster maintenance (only 2 hours, later none at all), exclusive mutagens for Gearforged, bombs automatically enhanced by the breath weapon discovery and may choose energy to be resistant against and even be healed by said energy make up this archetype’s arsenal. Among the new items, we get a claw whip, a polish to dazzle foes and a gear buggy vehicle as well as an amulet that may grow spider-like bludgeoning appendages, anti-construct bombs, a kind of battery (to heal and offset maintenance) and finally, bells to interact with destroyed Gearforged. We also get 16 new feats herein – improved armor, better underwater adaption, counting as both former race and Gearforged, better skill at dismantling constructs, DR/fire, having an integrated masterwork item usable only for you, more beautiful appearance, less penalties for failing to get maintenance, reflexively magnetically disarming foes 3/day, self-repair and even making a limb autonomous 1/day, the feats per se are rather neat – especially the autonomous limb has quite some potential! Speaking of potential, the 5 spells have some cool ideas, but unfortunately, also flaws – take the first spell. It includes this sentence “While encased, use your touch AC for all AC checks.” I have no idea what AC-checks are supposed to be. Also: usually, touch AC is worse than regular AC, so why is this an improvement? Per se the spell offers temporary hit points, which is nice, but I still don’t get how this one is supposed to work. Dazzling (and int-damaging) foes via bursts at 4th spell level may be nice, but also a bit weak. You can also transform your metal frame into bone, take on inevitable-like aspects or charge your unarmed strikes with electricity damage. Oracles may now opt for the Clockwork and Industry Oracle-mysteries (both of which are AWESOME, the latter allowing you, if you choose to, to wilder in gunslinging!) and the sorceror may now opt for the mechanical sorceror bloodline and we also get information on the Craft (Clockwork)-skill, Disable Device when interacting with clockwork devices and Knowledge (Architecture and Engineering) as well as Use Magic Device. 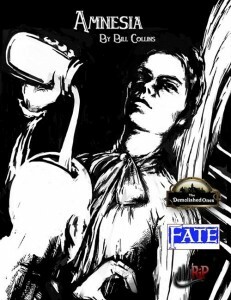 on another note, if you require some inspiration to expand the Craft (Clockwork)-skill, Storm Bunny Studios has a nice supplement out there that could be well used to supplement this pdf. Finally, we get 3 non-Gearforged clockwork-related traits. Editing and formatting are very good, though not perfect – I noticed minor glitches here and there as well as some minor rules ambiguities. Layout adheres to Midgrad’s drop-dead gorgeous 2-column full-color standard and the artworks are ridiculously beautiful for this price – James Keegan, Chris McFann and Mark Smylie all did splendid jobs here. The pdf comes fully bookmarked for your convenience. The Gearforged have a hard standing with me – I’ve read MANY construct-races, with varying degrees of being constructy/human-like and just as many solutions for the obvious problems the immunities bring. Now fluff-wise, the Gearforged are my favorite construct-race, but crunch-wise…not so much. I’m not really sold on their balance. Where e.g. Darakhul, who get a similar amount of immunities/benefits have to contend with multiple drawbacks that balance out their powers, Gearforged only get penalties like the maintenance-requirement that can be mitigated and even bought off with significantly less feat-investment than the Darakhul. Furthermore, their immunities are rather significant and the absence of an age, height and WEIGHT-table is unfortunate – I can already see the discussions on whether the gearforged crashes through those ice sheets, branches etc. in my head…. That being said, the options contained herein more often hit the spot than miss it – Designers Wolfgang Baur, Morgan Boehringer, Chris Harris, Adam Roy, Jason Sonia and the mastermind of this pdf Thomas Benton have crafted some rather ingenious pieces of content that should, even for other construct-races, allow for significant amounts of scavenging. Idea-wise, this is definitely a rich, if not perfect offering, a bit on the stronger side balance-wise and with minor glitches here and there, but still a well-worth purchase. Hence, my final verdict will clock in at a solid 3.5 stars, rounded up to 4 for the purpose of this platform. You can turn clockwork here on OBS! This supplemental pdf for Rite Publishing’s superb “The Demolished Ones”-FATE-setting/module/sandbox is 19 pages long, 1 page front cover, 1 page editorial, 1 page SRD and 1 page advertisement, leaving us with 15 pages of content, so let’s check this out! Now, if you’ve read my review of “The Demolished Ones” (TDO), you’ll know I a) hate the FATE-rules and b) loved the “Demolished Ones” enough to actually want to run/play it and consider the FATE-rules actually good for something. I am in love with this setting, but it is a demanding one for DMs to run – due to the free-form nature and player-driven action in TDO, a DM better should have some experience under his/her belt. Since there are some differences between standard FATE-CORE and TDO, we are given a quick run-down of the interaction of the two and how they relate before we delve into one of the two types of “memories” provided herein – in order to avoid SPOILERS for TDO, I will refer to them as “a-memories” – these are the ones pertaining to positive life events or those that are…well. Normal. Job-related, marriages, victories – each memory comes with an array of related skills, aspects and possible stunts the respective a-memories may provide. While generally positive, the memories may still be a source for discomfort – how do memories of oceans or holidays enter your mind if there is no beach within the Dome? A total of 17 such a-memories are provided, all with ready-to-go read-aloud text in vivid prose that only at best requires minor modification, making introducing resonating memories easy. Beyond these memories, we also are introduced to an array of stunts, unless I miscounted, a total of 58 ones, to be precise. of these, 5 are particularly designed for TDO and are problematic to convert, but over all – they actually add a much more strategic edge to TDO than via the basic FATE-CORE stunts available in TDO, which btw. have also been reproduced herein for convenience’s sake. We also get a short errata on zones and movement and advice on how to handle the respective memories. Editing and formatting are top-notch, I didn’t notice any glitches. Layout adheres to the beautiful 2-column b/w-standard and the pdf comes with glorious b/w-artworks and fully bookmarked for your convenience. 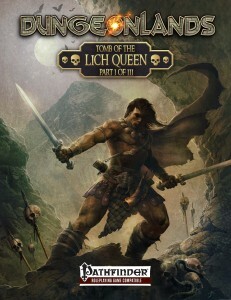 Author Bill Collins has created a supplement that should make running TDO not only easier on the DM, it should also add a more distinct level of tactical depth in the conflicts in TDO, allowing for a more streamlined flow of the free-form module, all supplemented by vivid prose and at times disturbing imagery that supplements well the superb setting of TDO. If I had anything to complain about this, then that would be the lack of new gear-aspects herein – the steampunkish component of TDO could use some additional development, but still – that is no fault of either the base book, nor this supplement. While I still won’t run standard FATE, I most definitely will run TDO and consider this supplement an excellent addition to the books canon as well as a great help for DMs. Even non-TDP-DMs/players may get some use out of this book to add a sense of alienation and wrongness to their game and play with the identity of characters. Hence, my final verdict will clock in at a solid 5 stars. You can get this neat expansion for The Demolished Ones here on OBS and here on d20pfsrd.com’s shop. This module is 15 pages long, 1 page front cover, 1 page editorial, 1 page ToC, 2 pages of SRD and 1 page advertisement, leaving us with 9 pages of content, so let’s take a look, shall we? All right, still here? Well, DMs, this is one of the modules that can work well as a one-shot or a campaign’s end/darkest moment prior to the epic final stretch Intended for PCs of level 16+. Why? Because the module unabashedly states that it’s intended as a pretense to use the massive Center Stage Tsathogga-mini. so yeah, the climax of this module may see the Demon-Frog-God actually making an appearance. Yes. That one. recall the CR? Yeah. But though this module is a pretense, it is not bar its story – the frog-men of the Tsathar have been making sacrifices to Tsathogga in their desolate wasteland for ages – never have their pleas been answered. Now, they have an ancient statue – which turned out to be one of the Ranan, dread progenitors of the vile frog-people. The Ranan, awake, has started a summoning, one that will be crowned with success, lest the PCs intervene! In the desolate, vile marshlands, mankind’s doom draws near…and it’s up to the PCs to travel there and stop the impending catastrophe. 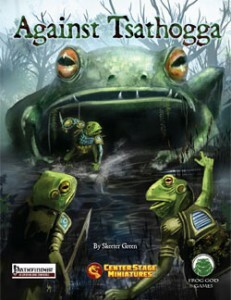 The marshland Tumulus, while not rich in creatures, does feature one deadly disease that suffuses the bog, potentially weakening the PCs even before the slaughter begins – the PCs have to enter Tsathogga’s Maw, a deadly cavernous complex with Tarteran Viruses, poisonous frog excrement, Custodians of Tsathogga and vast arrays of tsathar – all waiting to annihilate your PCs. Oh yeah, have I mentioned that the Ranan is CR 20, has over 400 hp and more than half have to be inflicted to interrupt the ritual? Oh, deadline, btw. – 3 rounds. 3 ROUNDS. Against waves upon waves of high-level tsathar and the dread progenitor. Otherwise, frickin’ CR 30 Tsathogga is here and PAIN begins – which would make for a furious final for a campaign, especially if the PCs manage to escape (by e.g. shoving tsathar aside so tsathogga eats them instead) – a kind of frog-pocalypse that would make for an exceedingly awesome climax over the last couple of levels for any campaign. We also get teh Filth-Priest of Tsathoggua archetype as well as three new high-level threats, though Tsathoggua’s stats are not included – you’ll need the Tome of Horrors Complete for those, which I consider the one flaw of this otherwise fun, apocalyptic high-level romp. Editing and formatting are top-notch, I didn’t notice any glitches. Layout adheres to FGG’s concise, printer-friendly two-column standard and the pdf comes fully bookmarked. The b/w-artworks are superb and the cartography deserves special mentioning – not only is it great, it is provided in a delightfully old-school isometric viewpoint – and personally, I’ve ALWAYS loved these – while not perfect for battle-mats, they just feel more alive, more vivid to me. I would have loved a player-friendly version, though. This module could have been a simple pretense, a module to phone in – instead, PFRPG-conversion expert Skeeter Green provides us with a superb example that shows he can write great modules (and should do so more often – his contribution to Rappan Athuk was glorious!) that breathe a sense of filth, decay and desolation, a module that manages to instill an almost Call of Cthulhu-level sense of desperation, which is anything but easy to do at this level. Apocalyptic, fun and a chance to whip out a huge monster-mini (or simply a statblock you’d otherwise probably never use), this module is exceedingly fun and misses my seal of approval only due to the lack of player-friendly maps and the fact that Tsathogga’s stats have not been included. Final verdict: 5 stars, in spite of its brevity. You can currently get this module exclusively on the Grog God Games hompage, here. This supplement is 16 pages long, 1 page front cover, ~3/4 pages SRD+editorial, leaving us with 14 1/4 pages of content, so let’s take a look, shall we? So…socketed magic items. In this system of magic items/gem magic, armors and weapons can have one socket, two (two become available for base items of +3 and better enchantments) or even 3 (+5 and better enchantments), staves can have one socket and other magic items get up to 1 socket, unless being categorized as a major magic item, in which case they may have 2 sockets. The first slot costs 500 Gp, the second 2000 Gp and the third 4000 Gp. Gemstones can be created analogue to other magic items via the Craft Gemstone-feat. Upon insertion, a gemstone requires 1 hour of attunement before conferring its bonuses and inserting the gemstone takes one minute of precise, deliberate and careful insertion – no quick switching. Gemstone effects, unlike otherwise noted, are supernatural abilities. Aforementioned attunement-period can be shortened via one of the 3 new spells. Another one of the new spells allows you to go horadrim cube on gemstones and fuse multiple gemstones of a lesser quality into one of a higher quality. The final spell would be the true winner, though – allowing you to grow a socket as a third eye that holds temporarily a gemstone as if you were an item of the “other” category, not requiring an attunement time due to the short duration. Damn cool! Now I already mentioned gem quality – essentially, there are 4 different qualities, from worst to best: chip (2 K Gp), shard (8 K Gp), gem (18 K Gp)and jewel (32 K Gp). Now when inserted into armors, these items generally offer a passive benefit, when added to weapons they offer either passive bonuses or weapon quality-like benefits à la additional sonic damage. Staves benefit from being studded with gems by allowing the staff to use charges to produce a spell in a can and the other benefits… well, are other and vary wildly all over the place. Now thankfully, designer Jason Bulmahn has not simply lazily stepped up the respective benefits for each quality, but actually offers some interesting varieties here: Let’s take the agate as an illustrating example, shall we? When used in an armor, a agate chip halves stealth-skill armor-check penalty when in fog, rain or similar weather. A shard completely allows you to ignore armor check penalty when in such a weather. As a gem, an armor-inserted agate also offers the spell-like ability to 3/day use obscuring mist and see easily through the mist in addition to the base effects and in the jewel form, the wearer may also turn greater invisible for a limited duration. When instead inserted into weapons, we get a non-linear progression: In chip-form, atk-rolls are not penalized by moist weather, whereas in jewel form the weapon deals additional sonic damage and has a chance to cause deafness upon criticals, but no access to the chip’s benefits. The stave-inserts allow access to obscuring mist, gust of wind, call lightning and control winds, respectively. Finally, the other-category offers at first a +2 bonus to saves versus inhaled poisons, then +2 AC versus nonmagical ranged attacks and at gem-level, we add feather fall to the latter benefit, while finally, the jewel also grants access to fly. A total of 24 classes of gems, each with their 4 steps of quality are provided, and they do all provide rather versatile options of effect on all steps. Editing and formatting are top-notch, I didn’t notice any significant glitches. Layout adheres to an easy-to-read, easy to print-out 2-column b/w-standard and the b/w-artworks provided are neat. the pdf unfortunately has no bookmarks, which is a rather significant comfort detriment. Anotehr comfort-detriment would be that the gems are supposed to have the auras of the spells used in their creation – however, while the spells are mentioned, the auras have to be looked up unless you have an even better memory than I do and can recall the auras of x spells from the top of your head, when this unnecessary book-flipping could have been easily avoided. Socketed items rock. I love the idea and the gems herein work well and offer cool, versatile benefits. And in fact, you be seeing me jump up and down and singing the praises of how this pdf offers a vastly superior option to the lame ioun stone insertion of the Pathfinder Lodge in Golarion – and said praise would be justified, seeing that this system, at least in my opinion, is vastly superior and more interesting. So…what’s the catch? The lack of bookmarks hurts this pdf. And there this other socketed magic item-system, Interjection Games “One Bling to Rule Them All“. And while Interjection Games’ system has some minor flaws, the overall content is more exciting, at least to me: Essentially, it allows for 3 classes of mundane items that turn magical by inserting PAIRS of crystals that can be switched on the fly or by inserting permanent special crystals -said crystals cannot easily be identified, categorized etc., but they do have an inherent susceptibility to having their unique effects counterspelled. In Interjection Games’ system, we have also an extremely broad selection of unique effects, just about all of which don’t just provide spells in a can or duplicate effects, but rather do unique things, like conjuring a cloud of vampiric mosquitoes that heal you or another one that allows you to survive a fall from orbit or, or, or, or. The permanent crystals can be handcrafted in a staggering variety of ways. 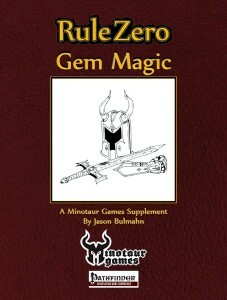 Rule Zero: Gem Magic, is a tad bit more concise in its rules-language, but the respective benefits are also less imaginative than in its competitor – Interjection Games’ supplement often had this “no other spell/magic quality/etc. does that”-effect, making it as a supplement, at least for me, more rewarding. Yes, Rule Zero: Gem Magic also thankfully treads new ground, but in a less pronounced way that didn’t leave me cold, but also didn’t blow me away. In the end, both systems have their benefits and drawbacks and particularly adept DMs may want to get both and combine them. Personally, I prefer the wild ideas of Interjection Games’ supplement and if you’re a fan of uncommon ideas, I suggest you take a look at it, but undoubtedly, this is still a very good supplement and if you’re a stickler for perfect rules-grammar, Rules Zero may be the better choice for you. My final verdict will hence clock in at 4.5 stars, rounded down to 4 for the purpose of this platform.